Celebrating the success of the recently launched SR150 in India, Aprilia today announced its second crossover offering for the country, the SR150 RACE. This marks a significant step in Aprilia’s India journey as the SR150 RACE comes to the country within less than six months of the flagship SR150 introduction. Built on the philosophy of the MotoGP’s globally popular RS-GP, the new addition is expected to further stir the youth of the country with dynamic appeal that goes beyond the racy look of the bike to also offer a faster ride with faster acceleration. With the SR150 RACE, the Italian brand has once again demonstrated its confidence in the India market and further endorsed its long term commitment to the geography. ‘Designed for Racers, Built for Riders’, the key features of the SR 150 Race include RS-GP inspired body colour and graphics, red alloy wheels and suspension springs tuned for faster acceleration. The great response we got when we introduced the SR150 in India last year gave us the confidence that the market is now ripe for change. The youth of India is keen to explore the new and this augurs well for a brand like ours which thrives on building different categories in every market that we operate in. We hope that the SR150 RACE brings our patrons even closer to the racy appeal they long for in their daily rides and changes, yet again, the way India purchases its 2-wheelers. Our philosophy as a company is to do things differently. This is clearly evident from our range of offerings in India and the fact that we have been fairly successful in winning the patronage of our esteemed customers. To this end, we have priced the SR150 RACE at a point which makes it appeal to the youth who are driven by quality and differentiation in all their adventures. We hope that the SR150 RACE meets with the same success as the SR150 and we look forward to further consolidating Aprilia’s crossover sport-scooter proposition in the country. 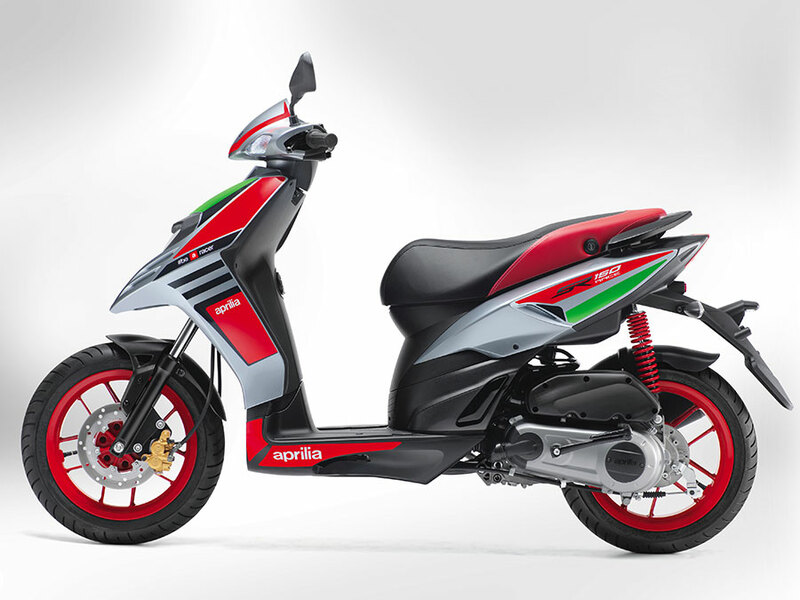 The Aprilia SR Race carries the SR 150 attributes like aggressive and sporty style, distinct handlebar, the light unit included in the shield and above all the pronounced “beak” on the front wheel characterizes the front end, large black 14″ alloy wheels with five spokes show off decisive and sporty design drawn from Aprilia racing bikes. And the raw power of 150cc enhances the liveliness of a vehicle born to make every city ride fun with 220 mm front disc and 140 mm rear drum brakes.